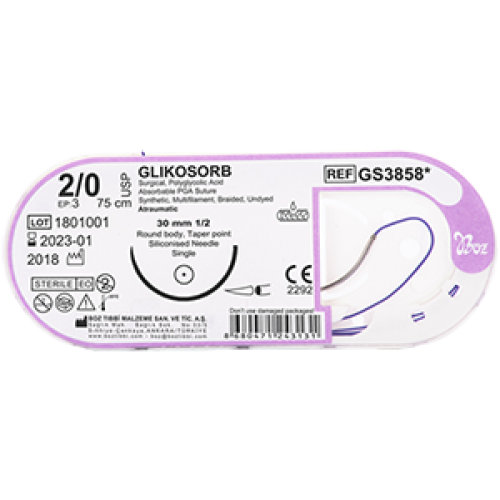 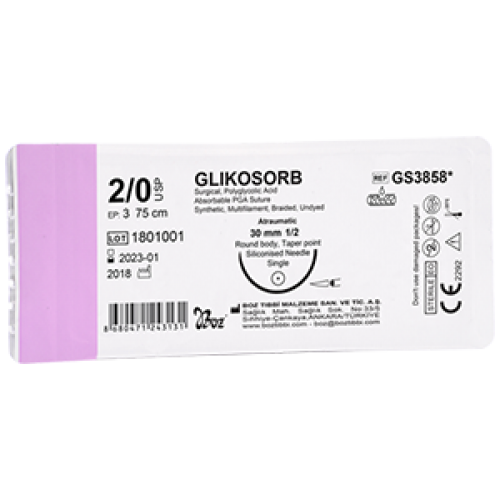 Glikosorb sutures are synthetic, braided, absorbable, sterile surgical sutures made from polyglycolic acid. 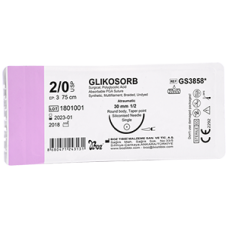 Braided sutures have special coating material. 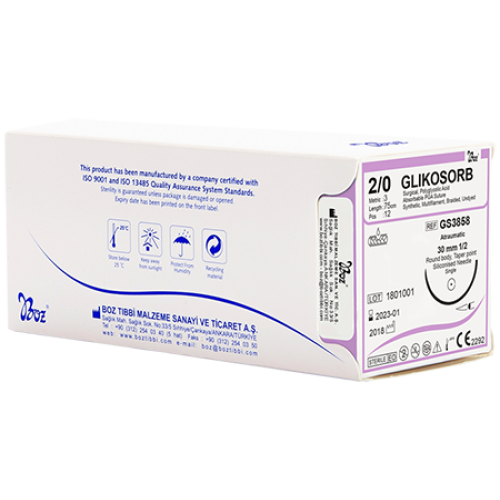 Coating of the sutures were made with Calcium Stearate and Polycaprolactone mixture.